‘Seochon’ is a village which is located west side of the Gyeongbok Palace. This tourist spot has not been famous yet compared with ‘Bukchon Hanok Village’ which already became one of the famous villages in Seoul. In ‘Bukchon Hanok Village’, lots of Hanok (Korean traditional house) have been preserved to show over 600 years environment. And many galleries and cafés are located in the alleys; so, modern artistic atmosphere comes along in the village. But to the west of Gyeongbok Palace, there’s another area ‘Seochon’ filled with hanok, where the contorted alleyways of old Seoul remain. 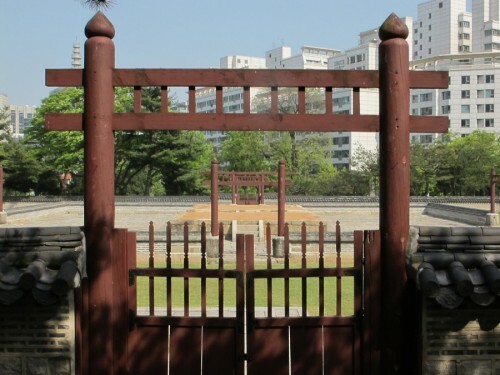 ‘Seochon’ means ‘western village’ and ‘Bukchon’ means ‘northern village’. Those neighborhoods continue to the eastern side of Mt. Inwangsan and the old city walls. And in terms of history, the ‘Seochon’ has an important meaning as Bukchon. Seochon consists of over 300 of the 1,400 hanok that remain within the old city walls, many of them located behind lots of tall buildings now. In Joseon dynasty, the main residents were jungin, that means ‘middle people’, the position in society between nobleman and commoners. Jungin belonged to a professional middle class of interpreters, doctors, merchants and other positions. 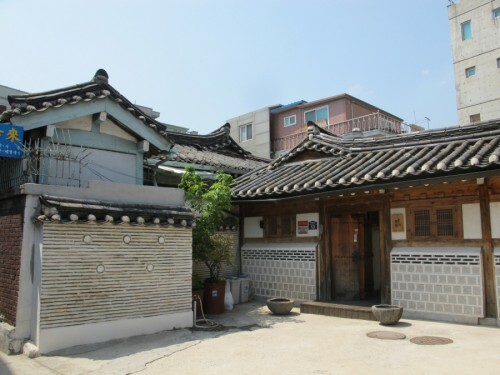 The interior of hanok in Seochon is different from Bukchon hanok village, so it is a good opportunity you can compare with Seochon village and Bukchon village. 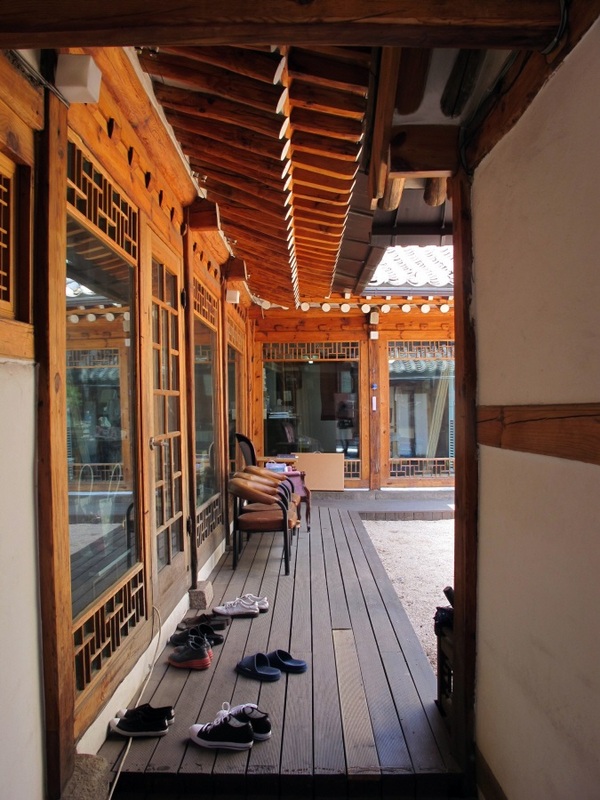 After 1910s’, almost all hanok had been built again, so you can experience improved and different style of hanok. Recently, it is being used as a shooting location of TV dramas and movies. 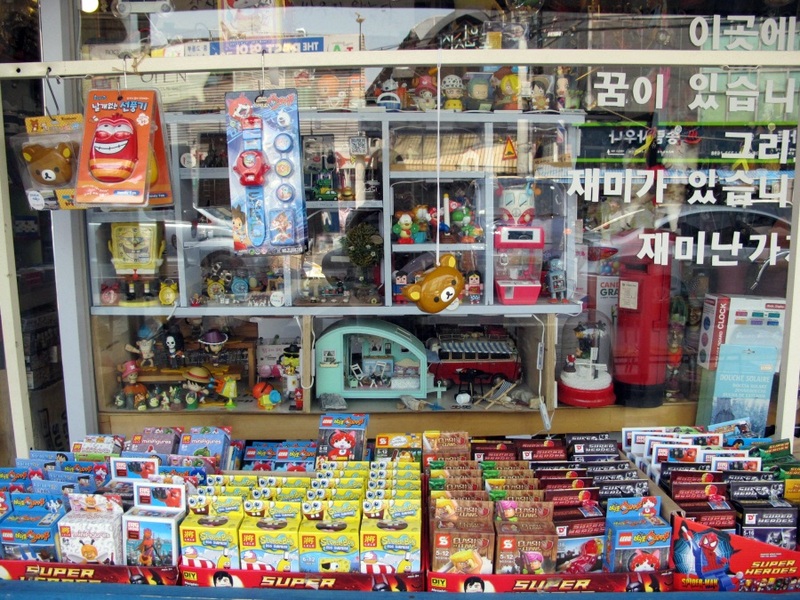 Seochon has been developing as a cultural area. Through the constant change, the area is being changed. Just wander this area along the alleyways and enjoy the unique atmosphere. 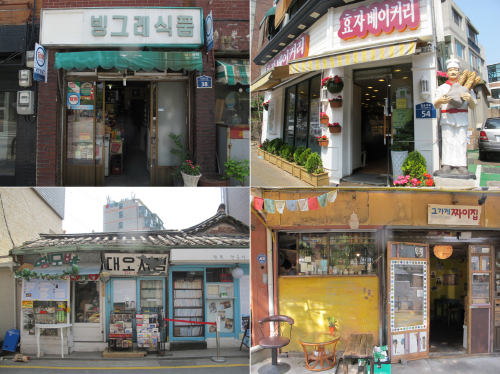 Although many modern cafés and galleries are being sprung up in this village, there are still many stores which keeping old style and signboards. Let’s look for the old stores walking around this village and try to take pictures. That is real face of Seoul in 1910s’. 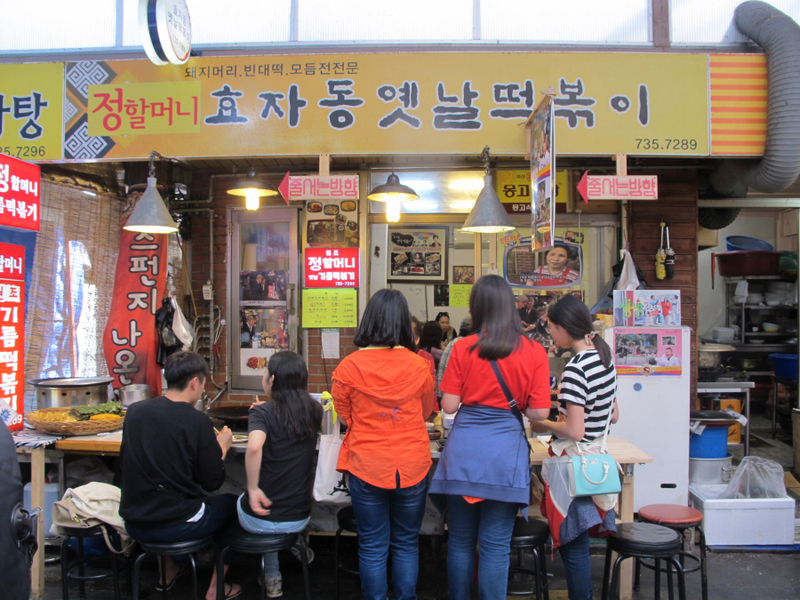 Also, right next to the Tong-In Market, there is a famous bakery; the name is ‘Hyo-Ja Bakery’. Many people always queue to buy such delicious breads. If you like breads, try to have some. Tongui-dong Baeksong Site (Pinus Bungeana) was a natural monument for the largest and beautiful tree. But, in 1990, the tree was withered away by a typhoon and only the bottom part of the tree has remained. For this reason, the tree was released from the natural monument in 1993. The neighbors in this area have made a lot of effort to make that save. 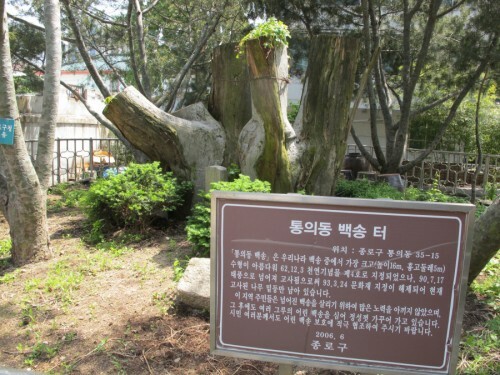 They planted other Baeksongs (Pinus Bungeana) and raising the trees well. It’s a western side village from the Gyeongbok Palace. It’s different from Bukchon Hanok Village which lots of luxurious honok houses are gathered. In Tongin village, you can feel the real life of the people who living in this village. 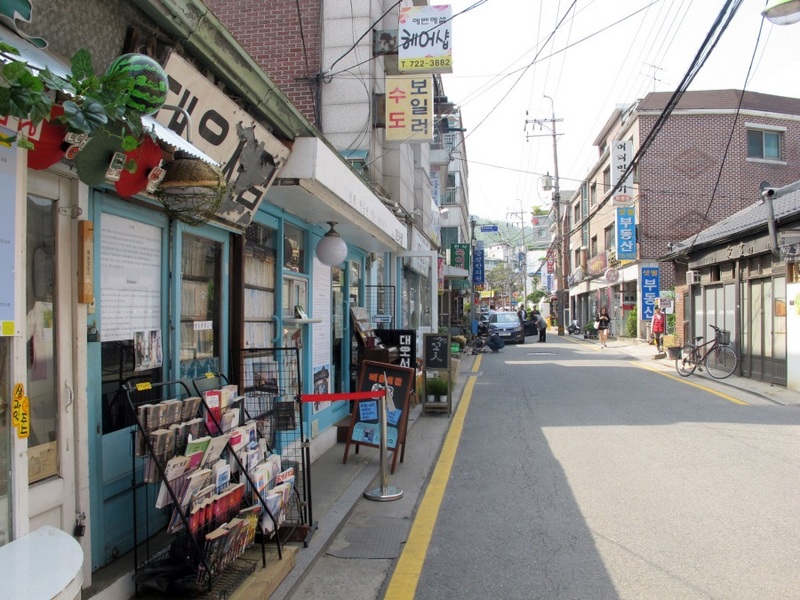 Also, in this area, not only hanok houses (Korean traditional house), but also the small apartment houses are mixed. Go around the village, you can find many kinds of houses, workshops, cafés, and restaurants. 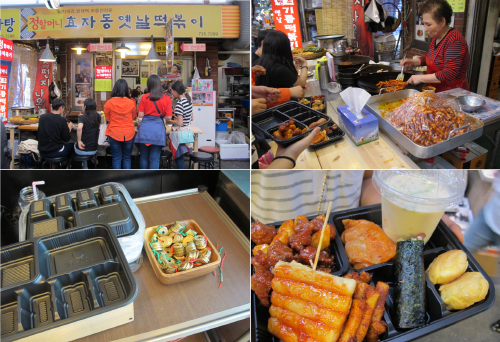 It’s a traditional market located in center of Seoul, near Gyeongbok Palace. 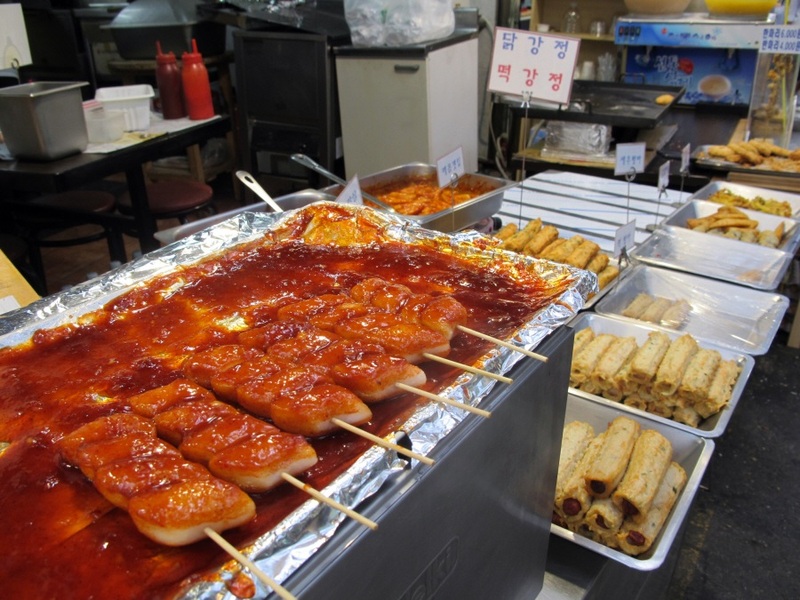 It’s established in 1941 for the Japanese residents as a public market. 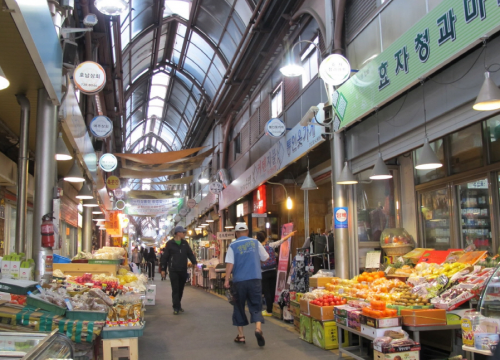 After in 2005, it’s started to be modernized and now around 70 shops, selling such as Korean street foods, side dishes, vegetables, fruits and clothes, shoes, are lined up on either side of the market road. Recently, it’s specialized by ‘lunchbox café’ which making your own lunch box there. 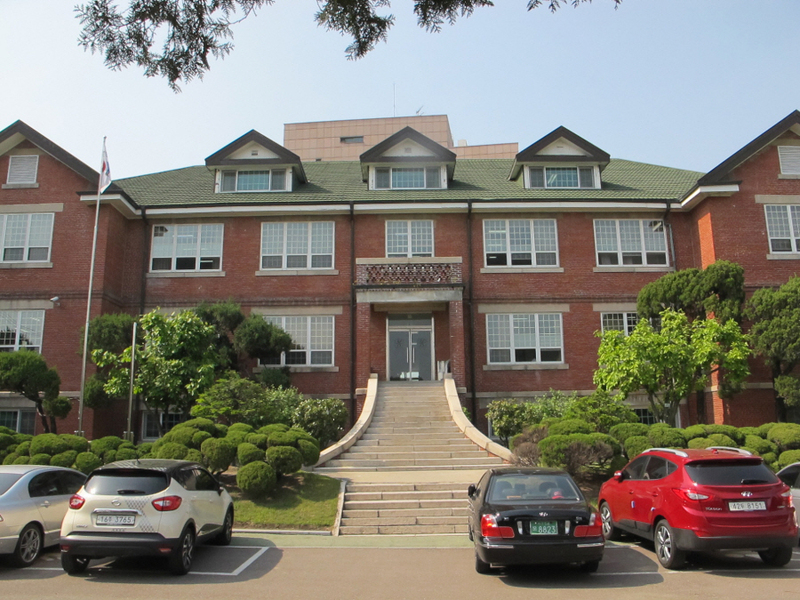 As soon as you enter this high school, you might feel a long history from the old red-brick buildings. This school is established in 1898 by Josephine Eaton Peel Campbell to set about Christian missionary work and teach a language for poor girls. It’s the only place that keeping over 100years’ history of missionary work. Sajik Park is the site of Sajikdan, an altar where various highly important rituals were performed by kings in the Joseon era. “Sajik” means doing a favor to the god of land and grain. In pre-modern times, Sajikdan was a significant site of ceremonial state activity, similar with the Jongmyo shrine to the east. Sajikdan has not gotten any glory in recent years compared with Jongmyo which protected and put on the UNESCO World Heritage list. Restoration of Sajikdan is now on going and begins a walk exploring Seochon.